Set against the devastation of D-day, the story is a vivid depiction of time, place, and conflict. All these three factors pushed the main character to his limit�to grasp the tiniest sense of reality amidst the chaotic canvas he’s been living in the moment. One thing that I loved about the film is its use of silence and subtleness that paints a stark contrast to the film’s powerful setting. This said softness in the story also translates in the short’s visual images. The use of subtle darkness with a hint of light source (as if it’s early morning), sets a gloomy tone that reflects the main character’s emotion. Simple yet concise, the film shows us how a simple melody can remind these soldiers of their humanity. And even after repeats, this piece of art even gets better in pulling our strings to the limits. 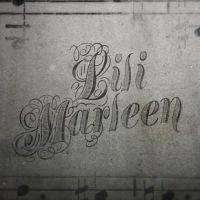 All in all, Lili Marleen produced by Whitestone Motion Pictures, is a beautifully-made film that’s guaranteed to push anyone’s buttons. So press play, enjoy, and learn how courage and hope go a long way.